Accelerated Aging: A set of laboratory conditions designed to produce, in a short time, the results of normal aging. Usual factors included are temperature, light, oxygen and water. Acetone: A colorless, volatile, water-soluble, flammable liquid made from either alcohol or by bacterial fermentation of carbohydrates, used in paints and varnishes, as a general solvent, and in chemical manufacturing. Acoustic Interlayer: Auto glass windshields having a thicker than normal inner vinyl laminate for noise reduction. Acute Area: The area of the auto glass windshield directly in front of the driver’s eyes. It measures approximately 5 ½ by 8 ½ inches. This area is used as the standard for the driver’s critical vision area by most auto glass windshield shops and insurance companies in the United States. Adhesive Failure: Adhesive failure indicated by the material’s failing (pulling loose) at the surface of substrate. 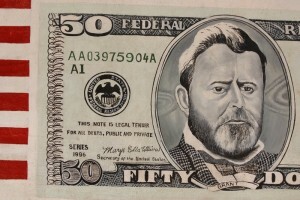 This is similar to “scotch” tape peeling off of a plastic substrate. Adhesive: Glue. Any substance, inorganic or organic, natural or synthetic that is capable of bonding other substances together by surface attachment. The bonding agent used to adhere auto glass windshields to your vehicle. Aerodynamics: The branch of physics that deals with the motion of a solid body through air and other gases. Aging: The progressive change in the chemical and physical properties of a sealant or adhesive. Airbag: A passive restraint system that uses an explosive device to inflate a bag at a high rate of speed. The bag inflates with a gas and then quickly deflated when a vehicle occupant is thrown into it. American National Standard Institute (ANSI): oversees the development of auto glass replacement standards for products, services, processes, systems, and personnel in the United States. Anneal: The controlled process for making auto glass windshields stronger and less brittle in which the glass is heated and then cooled. Anti-Lacerative Glass: Auto glass windshields that has a resilient layer (PVB) added to the inner surface. It prevents passengers from coming into contact with broken glass edges on the inner surface in the event of a collision. A-Pillar: Roof support member adjacent to the auto glass windshield. ARG/AGR: An abbreviation of the aftermarket auto glass windshields industry. Automotive Replacement Glass/Aftermarket Glass Replacement. Auto Glass: Glass that is specifically manufactured for use in an automobile. Auto glass is either a tempered glass, such as a door glass, or back glass; or a laminated glass, such as an auto glass windshield, both types of auto glass are used as safety devices in the automobile. Automotive Glass Replacement Safety Standards (AGRSS): created the Automotive Glass Safety Standards and is accredited by the American National Standards Institute (ANSI).AGRSS addresses procedures, education, and product performance that focus on proper auto glass windshields installation methods. Bead: A sealant or adhesive compound after application in a joint, irrespective of the method of application, such as a urethane bead applied to a pinchweld. A bead looks like a ribbon of adhesive rather than a round drop of adhesive. Belt Molding: A rubber molding between the inner and outer panels of a vehicle door through which the door glass is raised and lowered. Body Fillers: Compounds used to build up and level low areas that cannot be brought back to their original contour by straightening. Bond Strength: The force, per unit area, necessary to rupture a bond. Bond: The attachment at an interface between substrate and adhesive or sealant. Bonded Part: An auto glass part that has attachments on the glass such as: mirror brackets; reveal moldings, glass channels, and hardware. Bruise: A small crack which starts at a chipped edge of an auto glass windshield. Bug: Also know as “monogram” or “sandblast”: Identifies the manufacturer information including: Trademark (brand/type), Logo, Plant Code (where part was made), Type of AutoGlass (laminated or solid tempered), Manufactured Date (month and year), Model Number, Department of Transportation (DOT) certification number, and Glass Code. Bull’s Eye: Impact damage to laminated glass that is marked by a clean, separated cone in the outer layer of all auto glass windshields. Bullet-Resistant Glass: Consists of multiple layers on laminated glass and polyvinyl butyral (PVB). Butyl: An adhesive used in earlier model vehicles for auto glass windshields retention. It is a petroleum product that requires no curing or hardening. Butyl is available in rolls of approximately 15 feet. It is sometimes called “butyl tape kit” or “tape kit,” and is available in various thickness and shapes. Ceramic Frit: Ceramic paint band baked onto edge of all auto glass windshields. Channel Tape: A cork and rubber composition material used to reduce auto glass windshields breakage and noise and to correct alignment of movable glass parts. Channel: A piece of U-shaped metal lined with felt; used to reduce auto glass windshields breakage and noise and to correct alignment of movable auto glass parts. Chemical Cure: Curing by chemical reaction. This usually involves the cross-linking of a polymer. Chip: Damage to auto glass windshields caused by a rock or other object that causes a small piece of glass to be removed from the windshield. Clips: Devices which hold decorative chrome to the vehicle body, or hold moldings, and so forth. Close-Cut or Partial Cut Installation: An installation method that leaves most of the existing bead/bed adhered to the metal frame and adds a small fresh bead of adhesive into which to set the glass. Some vehicle manufacturers do not recommend this method. Coated Glass: Have a chemical film applied to the auto glass. The film can provide enhances performance characteristics as privacy, solar, or mirror effects. Cohesion Failure: Adhesive failure indicated by hardened material on both substrate surfaces. The material itself failed (the body of the adhesive or sealant pulled apart). Cohesion: The ability of a sealant or adhesive to hold itself together. The internal strength of an adhesive or sealant. 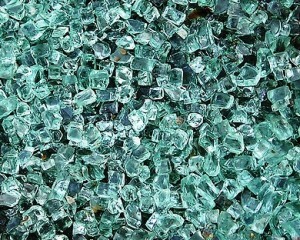 Combination Crack: A break in all auto glass windshields that involves more than two types of breaks. Contaminant: A substance, liquid or solid, which is present in a break in auto glass windshields. Contaminants must be removed from a break before a windshield repair can be performed. Corrosion: The chemical reaction of air, moisture, or corrosive materials on a metal surface; also called rust or oxidation. The process of wearing away the surface of a solid. Cosmetic Surface: A surface that is finished or decorated to improve its appearance and includes such things as paint, auto glass windshields and upholstery. Crack: An extended crack in all auto glass windshields from both sides of an impact point. Cross-Linked: Molecules that are joined side by side as well as end to end. CSR: Abbreviation for customer service representative. Usually a title for a dispatcher, bookkeeper or receptionist. Cure Time: The time required for a chemical or material to dry or set at a given temperature and humidity. Cure time varies with the type of material used and the thickness of the application. Cure: The hardening of a liquid material or adhesive by means of chemical reaction. D.O.T. Number: Department of Transportation Code – referring to the manufacturer of the part and must be displayed within the bug according to federal law. Dam: A device having a two-fold purpose: 1. A dam cushions and separates the glass from the metal frame where auto glass windshields adhere. 2. A dam holds the liquid adhesive and prevents it from flowing into the interior of the vehicle. Dauber: A disposable cotton applicator for applying primers and preps to the metal and auto glass windshields bonding surface. Delamination: The failure of the bond between the layers, as when auto glass windshields separate from the inner layer of vinyl, or when paint peels from the substrate beneath it. Department of Transportation (DOT) :Responsible for improving the quality of life and ensuring a fast, safe, efficient, accessible and convenient transportation system for the United States. All auto glass windshields part manufactured must have a DOT certificate code stamped on the glass. This code describes the manufacturers’ identification information. To find out who manufactured your auto glass windshield visit the DOT database and enter the two-digit code located on the bug. Distortion: A defect in all auto glass windshields that causes a haze, ripple, wave or other visual imperfection. Dot Matrix Pattern: The painted black ceramic pattern around the perimeter of a piece of glass. Typically, dotted in some places. Drive-Away Time: Safe drive-away time defines the amount of time that your car is required to remain out of service until the auto glass windshields part installed can properly operate as a safety device. Drop Cloth: Protective blanket used by installer to protect the car finish during an installation. Also known as a hood cover or fender cover. Dry-Set: A procedure by which a technician sets the auto glass windshields in the vehicle opening before applying any adhesive or primer. The process is used to position all auto glass windshields and mark the position with alignment markings or tape. To trial fit a glass assembly before applying adhesive. Elasticity: The ability of a material to return to its original shape after removal of a load. Electrochromic Mirror: Also known as Auto-Dim Mirror. A rear view mirror that senses light and automatically dims. Elongation: A property of urethane adhesive: an increase in length expressed numerically as a fraction or percentage of initial strength. Encapsulated Auto Glass: A type of auto glass fabrication. Pre-assembled parts which contain hardware such as moldings, fasteners, clips, or gaskets. The decorative molding appears around the perimeter of the auto glass, in whole, or part. The encapsulation can also act as a channel guide. The molding (encapsulation) is actually part of the auto glass and can be removed only by cutting it off the glass. Fast Cure Urethane: An adhesive for which curing time is faster than normal adhesives. The actual rate is determined by the surrounding temperature and humidity. Federal Motor Vehicle Safety Standards (FMVSS): A series of standards required of the automobile manufacturers by the federal government. All vehicles must meet these standards before they are allowed to be sold in the United States. Fender Cover: Protective blanket used by installer to protect the car finish during an installation. Also known as a hood cover or drop cloth. 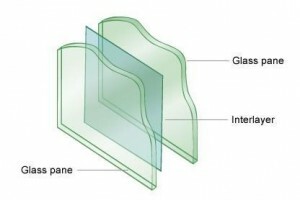 Filler Strip: A strip inserted into a rubber gasket after the glass is installed to force the gasket against the glass to form a seal and keep the glass in place. Also known as a locking strip. Flat Glass: Glass that has no curvature. Float Glass: A method of flat glass manufacture in which molten glass is fed into a float bath of molten tin. Flowering: A flower petal effect around the outer edge of a windshield repair. This is caused by the laminate detaching from the outer layer of auto glass windshields. FMVSS 208 Occupant Crash Protection: This is a seat belt and airbag test that vehicles must undergo to meet specified requirements to reduce the number of deaths of vehicle occupants. This relates to the auto glass windshields industry because; a vehicles auto glass windshield is the backstop to the airbag. Therefore, manufactured auto glass windshields and installation procedures must meet specified requirements to pass. FMVSS 212 Windshield Mounting: This is a test that places two dummies in a passenger vehicle and crashes them into a wall at 30 miles per hour. The test is to determine if the windshield could keep the dummies safely inside the vehicle. It requires that a minimum retention around the edges of the auto glass windshield to remain intact. If the vehicle fails the test it cannot be sold in the Unites States. This means that the auto glass windshields thickness, strength, and installation method must be able to withstand the demanding test. FMVSS 216 Roof Crush Resistance-Passenger Car: This test requires that a rigid block be forced downward on a vehicle roof until it reaches a force of 1 ½ times its weight or 5,000 pounds. The resistance force must be reached before the block moves downward 5 inches. This is important in the auto glass windshield industry because the windshield helps support the vehicles roof. FMVSS Title 1-Motor Vehicle Safety Standards Section 108: Holds manufacturers, distributors, and auto glass windshield companies accountable for producing and installing auto glass windshields that keep the general public safe and secure. Frit: The painted band around the perimeter of all auto glass windshields. Full Strip Installation: An installation method whereby the technician removes the existing bed/bead of adhesive from the vehicle frame. Approximately 1-2 mm of old adhesive remains. The technician applies new/fresh adhesive on top, then sets the auto glass windshield into the fresh adhesive. Gasket: A seal, usually of rubber, that holds all auto glass windshields to the vehicle body. There are various sizes and shapes of auto glass part gaskets, depending on vehicle design. Glass Color: Almost all auto glass windshields are tinted with a specific color, which is typically blue, green, gray or brown. To determine which color is in your vehicle, simply hold a piece of white paper behind your auto glass windshield. Green Strength: A term used by some adhesive manufacturers to describe initial strength of an adhesive. Hairline Crack: A long crack in an auto glass windshield that resembles a single piece of hair. Half Moon: Damage to a windshield that has a half-circle separation around the impact point. It is similar to a bull’s eye. Haze: A cloudy defect in auto glass windshields. Headliner: The fabric which lines the roof of a vehicle’s passenger compartment. Heads-Up Display (HUD): A feature in auto glass windshields that will allow the dashboard measurements to be projected up on the glass to prevent the driver from having to look away from the road to monitor vehicle performance. Heated Backlite: A back glass with defroster grid-lines printed on the glass to defrost or defog the back glass. Heated Urethane: A type of adhesive that is heated to a prescribed temperature before application. The heat “pre-cures” the adhesive for faster release of the vehicle. Heated Wiper Park Area: Auto glass windshields containing heated grids across the lower part of the glass where the windshield wipers rest. Usually visible as brown or grey lines running horizontally at the base of the auto glass windshield. High Modulus Adhesives: High modulus is a rigidity requirement of cured adhesive. It measures the ability of the adhesive to withstand a variety of stresses and still return to its original form. High modulus adhesives are stiffer than normal adhesives. Hook Tool: A tool designed for use in installing an auto glass windshields into a gasket. Sometimes known as a cotter pin puller. Idler Guides: Devices used to secure roll-able windows. Impact Resistance: The measurement by which it is determined how much impact is required for breakage. Impact Site: The actual location on the outside layer of all auto glass windshields, where it was struck by an object (usually a stone). Typically a small piece of glass is missing. Impact: This is the most common break. It occurs when an object hits all auto glass windshields. 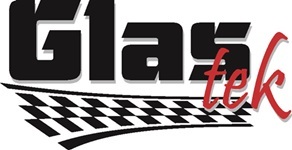 Independent Glass Association (IGA): Is an association that is dedicated to independent auto glass windshield companies throughout the United States. It is committed to defending consumers’ rights in choosing auto glass service providers, ethical business practices, promoting safe and proper services, and serves as an advocate for customers, insurers, and legislative entities. Lacing Tool: Tool whose eyelet threads the locking strip while its heel presses the locking strip into the channel. Laminated Glass: A type of safety glass that has a layer of plastic bonded between the layers of glass. Laminated glass is used mainly for auto glass windshields. Light Sensor: A sensor, usually located on auto glass windshields that senses the absence of light and turns the headlights on. Lite: A term for a pane or a finished piece of glass. Locking Beads: A term for filler strips. Mirror Button: Hardware used to hold rear-view mirror on auto glass windshields. Mobile Unit: A vehicle, usually a van or light truck, properly equipped with installation and safety equipment and tools, driven to an auto glass customer’s home or place of business from which glass installations are made. Modular Glass: A auto glass windshields or parts that has a molding or assembly attached to it. Also known as encapsulated glass. Molding: Preformed rubber gasket that surrounds the auto glass windshield in the vehicle. Monogram: Also know as “bug” or “sandblast”: Identifies the manufacturer information including: Trademark (brand/type), Logo, Plant Code (where part was made), Type of Glass (laminated or solid tempered), Manufactured Date (month and year), Model Number, Department of Transportation (DOT) certification number, and Glass Code. MSDS: Material Safety Data Sheet. Data Sheet required by law to accompany the sale of chemical products and other materials defined as hazardous on demand. National Auto Glass Specifications (NAGS): They create, assign, determine, and publish auto glass part numbers, list pricing, and labor installation times for the auto glass windshields industry. National Glass Association (NGA): Is a trade association for auto glass windshields, architectural glass, and window and door industries. They provide education and training programs that upgrade technical skills, improve management practices, and enhance quality workmanship for the glass industry. National Highway Traffic Safety Administration (NHTSA) :This is a subsidiary of the U.S. Department of Transportation that is responsible for the safety of cars. Among other things, they are responsible for the FMVSS series of laws that covers the safety of vehicles including auto glass windshields. Night Vision: An infrared camera mounted on the auto glass windshield which detects objects further ahead than headlights, and displays the images on a section of the windshield. Nitrile Gloves: Special gloves that is able to protect against solvents, urethanes, acids and resins. Auto glass technicians typically wear this type of glove to protect hands from chemicals and to keep from contaminating the glass surface. Nonconductive Adhesives: Standard auto glass windshield adhesives are inherently conductive due to the presence of carbon. Nonconductive adhesives are low in carbon and change high frequency antenna impedance. Sensitive electronic signals in some luxury vehicles require specialized nonconductive adhesive to maintain optimal operating levels. Obsolete Glass: Auto glass that is no longer manufactured and is difficult if not impossible to find. One-Part Urethane: An auto glass windshield replacement adhesive that has only one component. Original Equipment Manufacturers (OEM): in the auto glass windshields industry refers to original equipment manufacturers such as Pilkington (LOF), Carlite, PGW (formally PPG), Guardian, Mopar, and many others. Paint Band: Black or grey paint band on perimeter of glass used to hide all the perimeter mechanics when installed in the vehicle. Typically ceramic. Passenger Restraint System: A system of protection that requires no effort on the part of the occupants of a vehicle; i.e., self-retracting seat belts, airbags, windshield. Perimeter: The outside edge approximately about one inch of auto glass windshields where the urethane bead is applied. Pinchweld: Types of metal weld joint: a flange extending from the body of a vehicle into the opening of the glass parts, usually extending from the side pillars and roof. In the auto glass windshields industry, the pinchweld is the part of the vehicle frame where the auto glass adheres. Plexiglas: Brand name for plastic sheets of various thicknesses used in residential and commercial glazing applications. It can be molded and is used in a variety of ways from display cases to windowpane installation. Poly Vinyl Butyral (PVB): Vinyl inner layer of laminated glass. Poly Vinyl Chloride (PVC): A thermoplastic resin used for making moldings. Can also be used to encapsulate glass. Polysulfide: An adhesive used, prior to the advent of urethane, to bond auto glass windshields to the vehicle. Primer: A material used to prepare auto glass windshields surface for bonding to insure a strong installation bond. Primerless Urethane: A type of urethane adhesive that requires no primer on the glass surface. Metal primer may be necessary. Privacy Glass: Dark glass used behind the B-Pillar on vans and sport utility vehicles to prevent looking in. Also reduces ultraviolet and infrared rays and improves appearance. Quarter Glass: The quarter glass, which is often triangular in shape, is glass found on the side of the vehicle closest to the back glass. Also known as quarterlite. Rain Sensor: A sensor, usually located on auto glass windshields, which senses rain and turns the wipers on automatically. Rear Windshield: This auto glass part stretches across the rear of the vehicle at the trunk or tailgate. It is also referred to as the back glass or backlite. Regulator: A manually- or power-operated device which rolls a vehicle’s window up and down. Resin: A clear liquid hardener used in rock chip or crack repair of a windshield. Once it has filled the chip or crack, it is cured with ultraviolet light to prevent further damage to auto glass windshields. Reveal Molding: Chrome or plastic molding which fits over and covers the edges of a windshield or back glass. Safety Glass: A general term used for either laminated or tempered glass. Only glass which has been laminated, however, can specifically be called laminated safety glass. Salvage Part: A part, removed from a vehicle being scrapped, that is intended to be used as a replacement part. Sausage Packs: A type of packaging for adhesive materials. The material is packaged in an aluminum foil pack. When the material is forced out of the package, the foil is crushed, reducing the amount of disposable water. Score: A mark on a lite of glass made with a glass cutter. Sealant: Any of various liquids which, when applied to a joint, dry to form an air-tight seal. Setting Block: A small piece of neoprene or other suitable material that positions the glass in the frame or opening. A small, hard rubber block that is set along the bottom pinch weld during an auto glass windshields installation to maintain the position of the glass while adhesive cures. An automotive part on which the glass rests in place. Shaded Glass: Laminated glass in which a dark color has been added to the top section of the inner vinyl layer to improve driver visibility glare. Shard: A sharp piece or fragment of glass. Skinned Over: The appearance of an adhesive when it has started to cure. Sliders: Window and frame assembly which is generally used as the back autoglass for pick-up trucks, but can also be on vans. The window opens by sliding in a track within the frame assembly. Solar Glass: Autoglass that blocks out the sun’s harmful infrared and UV rays to protect the automobile interior, and keeps vehicle cooler. Solvent: A liquid in which another substance can be dissolved. Spider Crack: Autoglass damage with several crack lines projecting from one impact point. Spider cracks occur on windshields only. Splines: A term used to denote filler strips. Star Break: Damage to a windshield marked by various-sized cracks radiating from the central impact point. Stone Break: A break on the outer layer of a laminated windshield. Typical stone breaks are star breaks, bull’s-eyes, moon breaks, and combination breaks. Stress Cracks: Cracks resulting from unusual forces acting on the glass body. Substrate: A hard surface, such as glass or metal, to which a sealant or adhesive is bonded. It is used to test adhesive product strengths. Tack, Tackiness: The stickiness of the surface of a sealant or adhesive. Tempered Glass: Is a single pane of glass that has gone through a tempering, or heating, process with rapid cooling that strengthens the glass. Tempered glass is five too ten times stronger than normal flat glass, and it can withstand drastic temperature changes. Tempered glass when broken; break in very small oval shaped pieces called dicing. Tensile Strength: The strength demonstrates by the vertical pull of two substrates until adhesive failure. Tinted Glass: Glass to which a small amount of color has been added consistently throughout the autoglass. Tinting Film: Plastic film of varying darkness, which is adhered to auto glass to simulate privacy glass. Translucent: Permitting light to come through without distortions so objects on the other side can be seen clearly. Transparent: Permitting light to come through without distortions so objects on the other side can be seen clearly. Ultraviolet light (UV): Part of the light spectrum. An ultraviolet light is used during the windshield repair process. Which cause chemical changes in rubbery materials or polymers (resin). Unleaded Frit: A painted band around the perimeter of the auto glass applied with unleaded paint. It requires special preparation before bonding. Urethane Breakdown: Results when urethane is exposed to ultra-violet light. Urethane breakdown appears as a chalky black powder on the surface of the hardened adhesive. Urethane: An extremely strong and flexible adhesive used in modern day auto glass-to-metal bonding to add to the structural strength of a vehicle. Usually formed by the reaction of a disocyanate with hydroxyl; also called polyurethane. Any of the several strong polymer adhesives that are used to install auto glass. Urethane requires heat and humidity to harden. Urethane adhesives are necessary to meet government standards for windshield retention in most late-model passenger vehicles. Vacuum Cup: An auto glass suction tool used for picking up glass without contamination. Vehicle Identification Number (VIN): This is a 17-digit combination of letter and numbers that is unique to your vehicle. Your VIN is embossed onto a small plate attached to the dashboard at the bottom left side of your windshields. Vehicle Make: This is the brand of vehicle that you drive. Examples are Ford, Toyota, Honda, Lexus, GMC, and Chevrolet. Vehicle Model: This is the type of vehicle that you drive. Examples are the Mustang, Corolla, Accord, ES350, and C1500 Pickup truck. Vehicle Style: The vehicles body design such as 2-door, 4-door, SUV, convertible, or station wagon. VIN (Vehicle Identification Number): is a unique 17-digit combination of letters and numbers assigned to each vehicle that identifies the vehicles year, make, model, and other manufacturer’s details. Vin Etching: A vehicle theft deterrent measure in which a vehicles identification number is gently etched into all of the automobiles glass. Car thieves generally avoid VIN etched vehicles because all of the glass must be stripped and replaced before a thief can get rid of the car, a costly and time consuming process. VIN etching is harmless to windows and it won’t mar the look of the vehicle. VIN Notch: Cut away in the paint band on a windshield to reveal VIN plate on vehicle dash board. VIN Plate: A permanently installed plate, displaying the vehicle identification number, which is viewable through the windshield from outside the vehicle. Also, VIN stickers are typically found on the inside drivers front door jam. Windshield Pit: The impact point from which a small piece of glass is missing from the outer layer of a windshield. A pit does not crack the outer piece of glass therefore the glass cannot be repaired. However, pits do not typically break out from the point of impact.